In the summer sun Kew Palace’s distinctive red lime wash glows all the more against the brilliant green of the splendid surrounding gardens. This grade I listed venue is both regal and intimate, reflecting its history as the family home of Georgian royalty, particularly that of King George III, Queen Charlotte and their children. Today, you can welcome your guests into this tiny, perfectly formed royal palace and its charming outbuildings – the Royal Kitchens and Queen Charlotte’s Cottage. Their beauty and history promise to fascinate and enchant your guests. Set within the fantastic Royal Botanic Gardens, this picturesque palace is an ideal location for summer weddings, family celebrations and corporate functions. Splendid royal gardens and a grade I listed palace that is as pretty as a picture make Kew an unforgettable summer wedding venue. 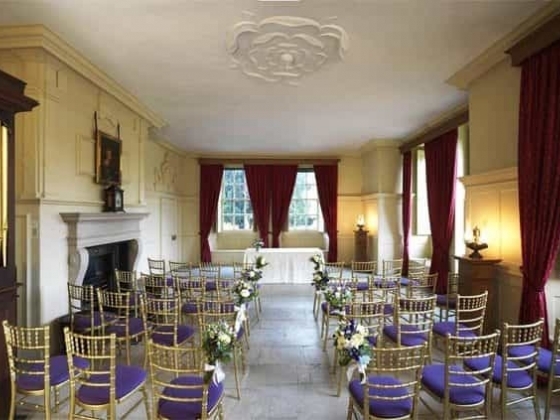 Holding your wedding at Kew Palace or Queen Charlotte’s Cottage means you will receive dedicated, personal attention from our events team to help you plan and realise the event of a lifetime. On the day, you will feel free to relax knowing first-class professionals are on hand tending to your guests, and to your every need. Our suppliers’ knowledge and experience of Kew Palace means they will cover every detail, so you don’t have to. For us, yours is another royal wedding. Kew Palace and Queen Charlotte’s Cottage were the setting for a double royal wedding in July 1818. William, Duke of Clarence (and future king) was married alongside his brother Edward, Duke of Kent (and future father of Queen Victoria).